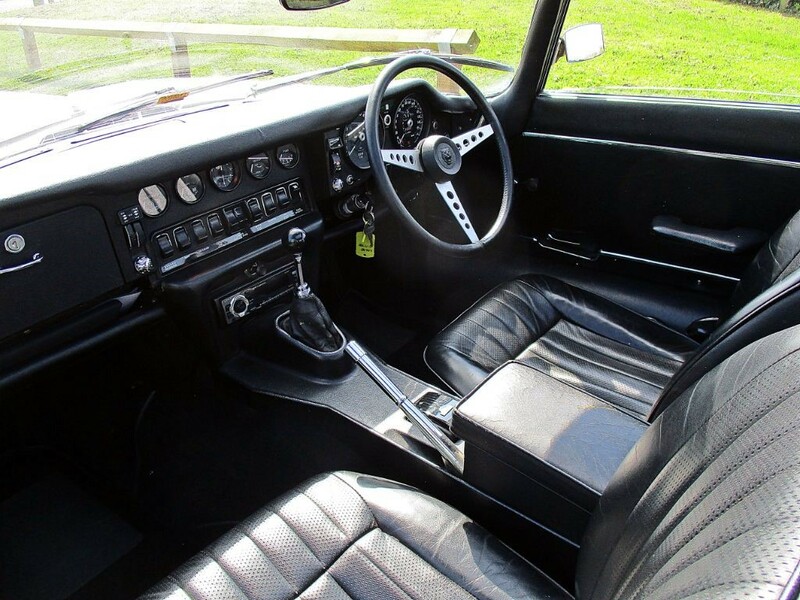 This Home Market Right Hand Drive is a manual example and was first registered on 10 December 1971 by Henleys of London for a Mr HW Cliiford; it was supplied in the colours that it sports today and is therefore highly desireable. There are a total of six recorded keepers to date. This beautiful example was bought back from Germany in February 2017 where it had been used since 2009. There are MOT certificates stretching back from 2009 to 1993 detailing the mileage. Finished in Old English White with superbly patinated Black Hide and Black Webasto Sliding Roof, Chrome Wire Wheels and White Wall Tyres. A new 12 Months MOT will be issued. 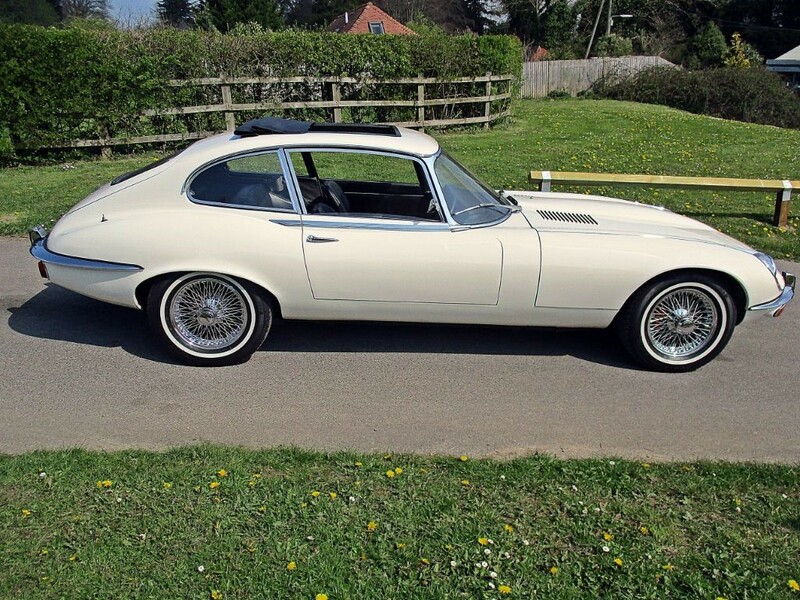 We regard this car as a very good example which starts on the button and drives extremely well. 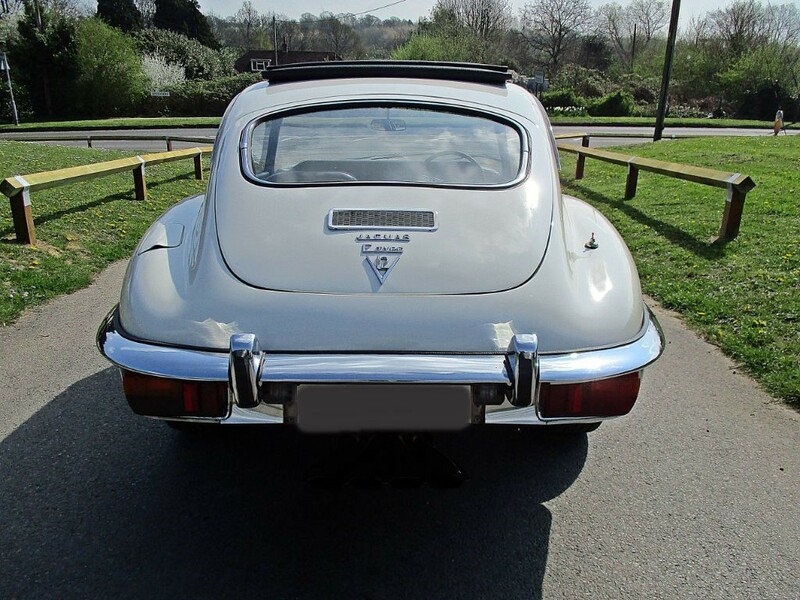 A Jaguar Heritage Certificate faccompanies the excellent history. 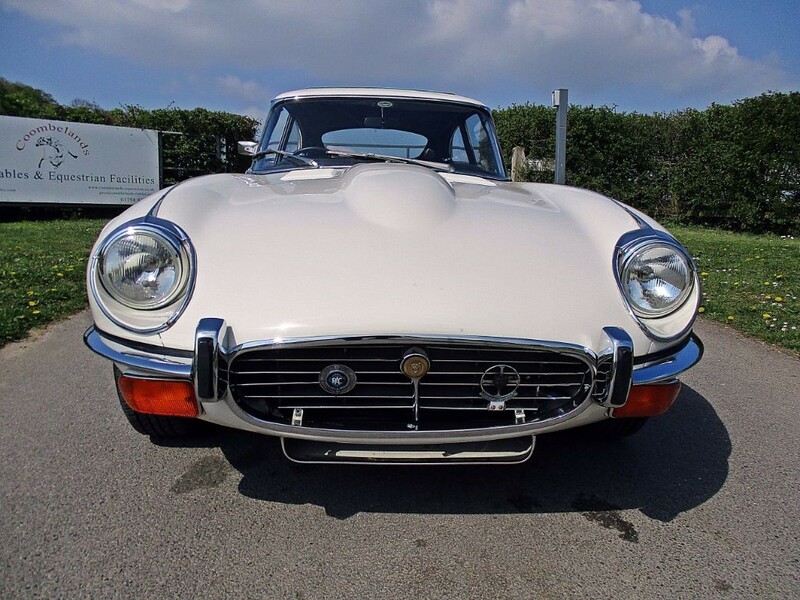 The Series III E-Type is now gathering a much stronger following as an icon of 1970s motoring as they are great driving cars and more comfortable than the Series I and II E-Types, especially if you are over 6ft tall. 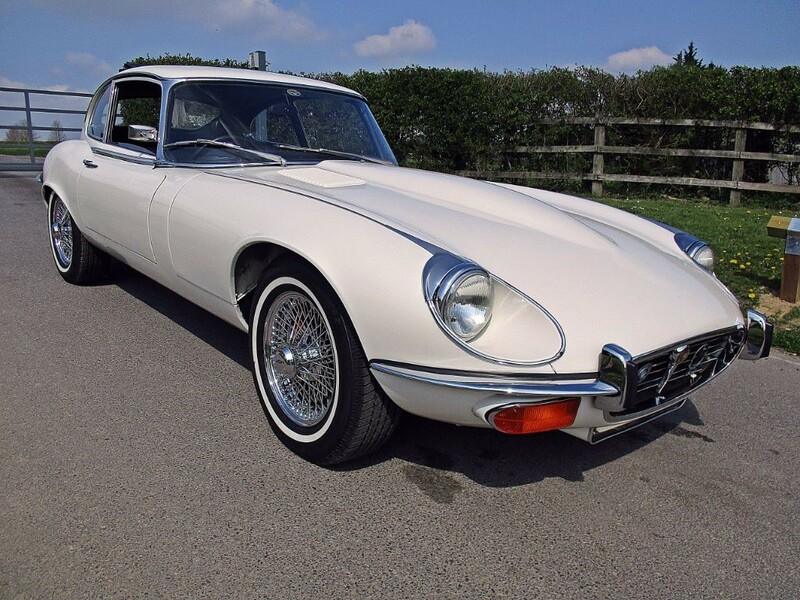 We expect the value of these cars to continue to grow alongside all E-Type Jaguars. 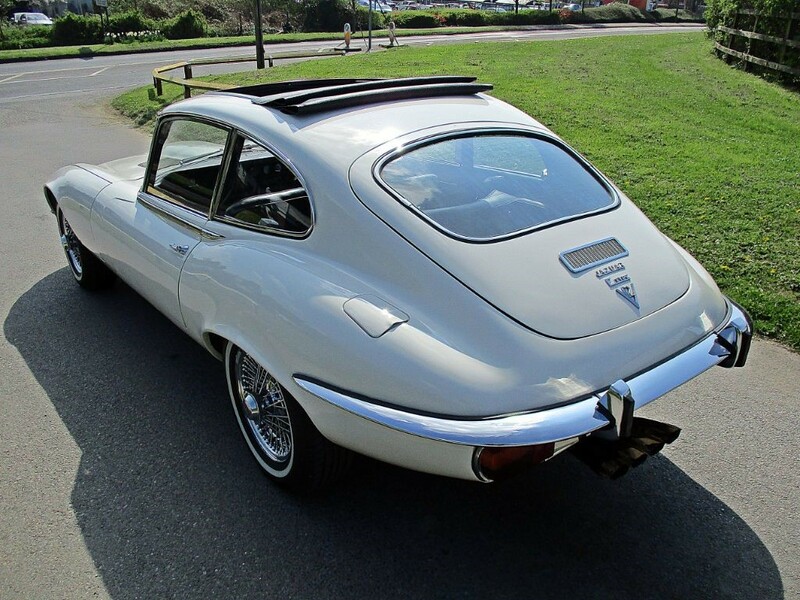 WHEN OFFERING AND DESCRIBING A CAR THAT IS OVER TWENTY YEARS OLD WE HAVE TO RELY ON THE CAR’S HISTORY FILE AND ANY INFORMATION PROVIDED BY THE PREVIOUS OWNER(S). WE ARE ONLY ABLE TO PASS THIS INFORMATION ON IN GOOD FAITH AND IS THEREFORE NOT PURPORTED TO BE A STATEMENT OF FACT. THE PROSPECTIVE PURCHASER MUST SATISFY THEMSELVES AS TO THE CONDITION AND FITNESS FOR USE OF THE VEHICLE. THIS DOES NOT AFFECT YOUR STATUTORY RIGHTS.